Located in a saltwater community/development at Shorecrest. This community offers protective CC&R's, community in-ground swimming pool, parks, covered BBQ and picnic tables, clubhouse, saltwater access and a county park with a boat launch. 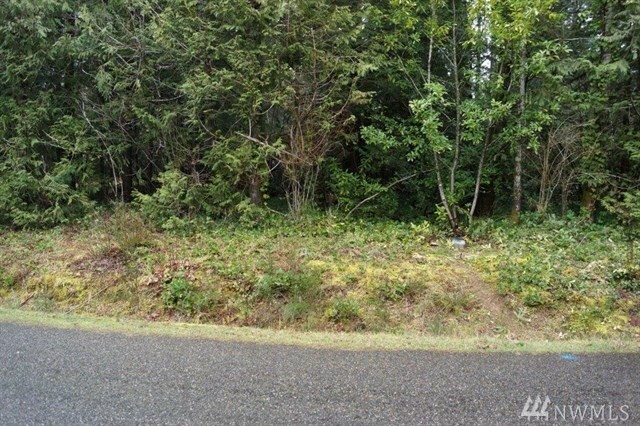 This property is forested with natural trees and ground cover with water, power, telephone, cable TV and high speed internet to the property, this lot is also level and ready for your home, mobile homes are also welcome.